A teacher and an electrical engineer from Worthing are among the latest people convicted as part of Surrey and Sussex Police’s Christmas crackdown on drink and drug-drivers. A total of 240 arrests were made in Sussex during the campaign, which ran from 1 December 2018 to 1 January 2019, police said. Of these, 57 have so far been convicted. A further 36 have been charged to attend court and the remaining have either been released under investigation pending further enquiries or released without charge, said police. Among the latest offenders convicted in court is Susan George, 58, a teacher, of South Farm Road, Broadwater, police said. She was arrested on the A24 at Horsham on 22 December and charged with driving with 43mcg of alcohol per 100ml of breath in her system, according to police. At Worthing Magistrates’ Court on 8 January, she was disqualified from driving for 12 months, confirmed police. She was also ordered to pay a £276 fine, £85 costs and a £30 victim surcharge, added police. Another offender recently convicted is Youssef El-Kirate, 37, an electrical engineer, of Barrington Road, Goring, said police. 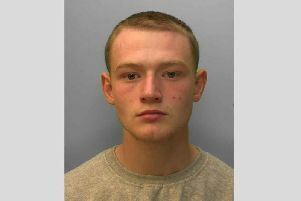 He was arrested in South Farm Road, Worthing, on 9 December, and charged with failing to provide a specimen of breath when suspected of having driven a vehicle and possession of a Class B drug (ketamine), police said. At Worthing Magistrates’ Court on 28 December, he was disqualified from driving for 24 months and sentenced to 12 weeks’ imprisonment, suspended for 12 months, confirmed police. He was also ordered to carry out 40 hours of unpaid work, and pay £85 costs and a £115 victim surcharge, said police. “A minimum 12 month ban; An unlimited fine; A possible prison sentence; A criminal record, which could affect your current and future employment; An increase in your car insurance; Trouble travelling to countries such as the USA.